Unique Moments photography of Gig Harbor Washington captured this image in the summer of 2015. 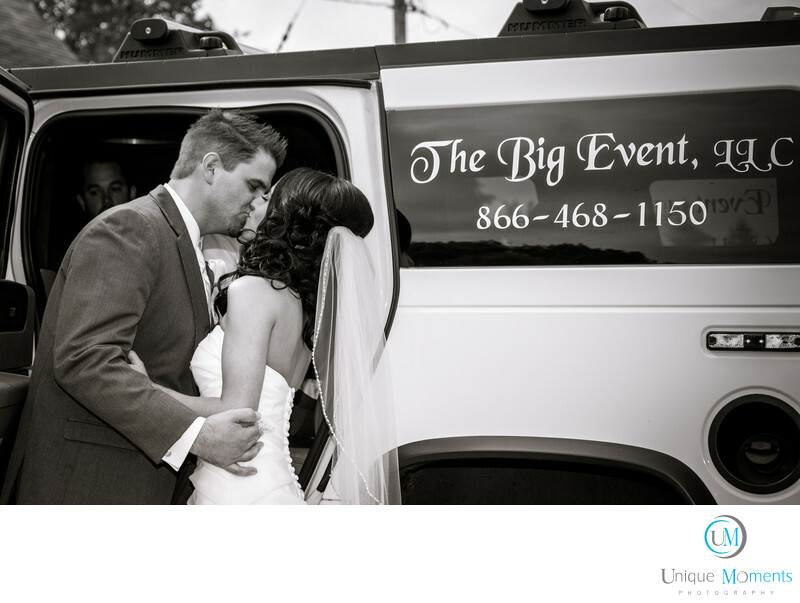 Limos and a party Bus' are often at weddings to transport the bridal party to the receptions. They are a sign that the party is about to kick into high gear. Rule number one. What happens in the Limo Stays in the Limo. Oh trust us we have been inside the limos for the trips to the receptions. The Ginger ale is flowing. This is a time for the bridal party to celebrate and relax and man do they ever know how to have some fun. Take the 2 hours you have before your reception and have some fun with your bridal party. Its the time we go out and do Fun pictures. Sometimes we show them to mom and dad and sometime we don't. Whats happens in the limo stays in the limo.